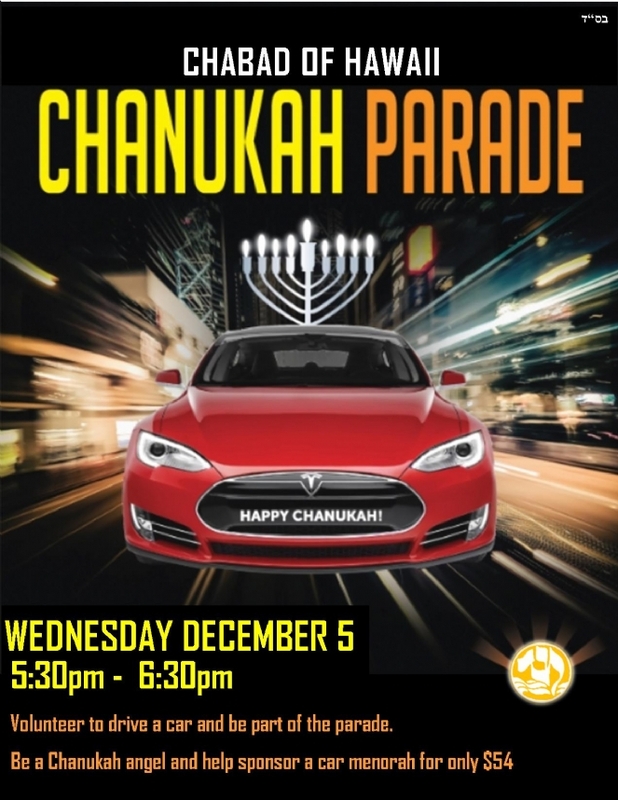 Join us as we drive around town in a wonderful display of Jewish pride and unity! Or follow us on our route: Kapiolani Blvd to end. Alapai Street to S. Beretania. Left on to Bishop Street. Bishop to Ala Moana Blvd. Ala Moana down to end, right on Kalakaua Avenue. Kalakaua to Kapahulu. Left on to Kapahulu; left on to Kuhio to end. Right on Namahana; left on to Ala Wai Blvd. ; left on to Keoniana. End on Kalakaua, in front of public menorah lighting ceremony sight - Waikiki Gateway Park, in front of statue of King David Kalakaua.